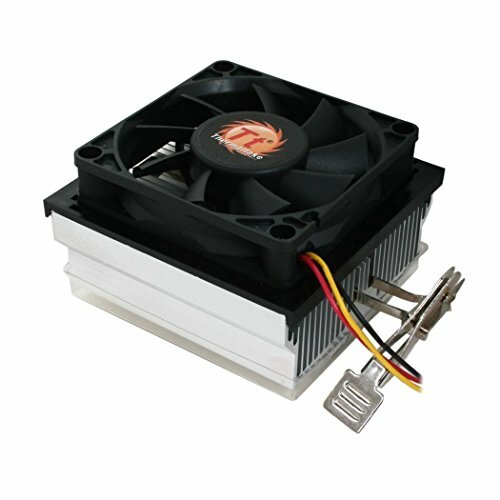 Thermaltake CL-P0503 For AMD Athlon/Sempron CPU Fan, RETAIL. 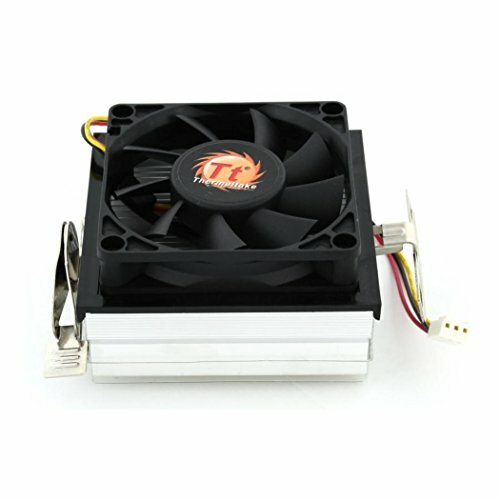 Mfg: Thermaltake. Mfg part number: CL-P0503. Compatibility: AMD Athlon 64 X2/ Athlon 64 / Sempron (Socket AM2/K8). Fan Speed: 2900+/-10% rpm. Max. Air Flow: 18.58 CFM. Max. Air Pressure: 2.11mm H2O. Noise: 29.58 dBA(Max). Rated Voltage: 12 V. Started Voltage: 7 V. Rated Current: 0.22 A. Power Consumption: 2.64 W. Connector: 3 Pin. Life Expectation: 40,000 Hours. 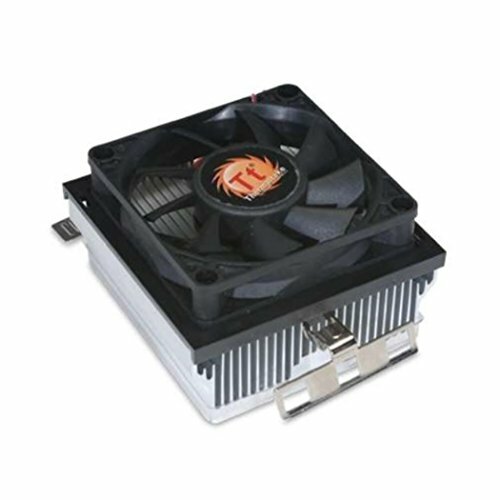 Fan Dimension: 70 x 70 x 15 mm. Dimension (WxLxH): 104.7 x 80.7 x 47.6 mm. 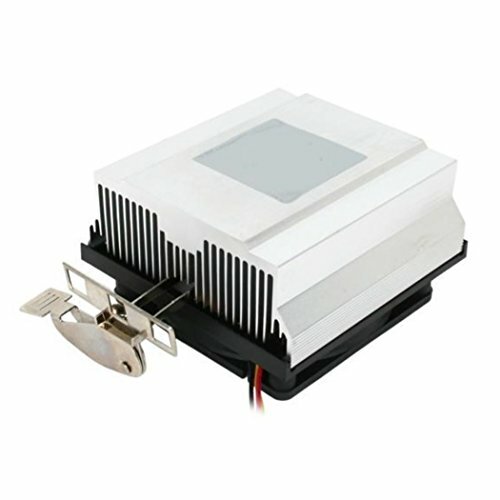 Excellent ratio aluminum extrusion heatsink for better heat dissipation. Silent operation. Optimized solution for low power processors. Tool-less clip, easy installation.